How to add music to Dropbox on iPhone? Read this guide to find the solution. For some reason, you want to add iPhone songs to Dropbox. But there is no option in Dropbox to make it. Actually, you cannot add music to Dropbox on iPhone directly. You need to export iPhone songs to computer firstly, and then upload your songs to Dropbox via the web or desktop app. 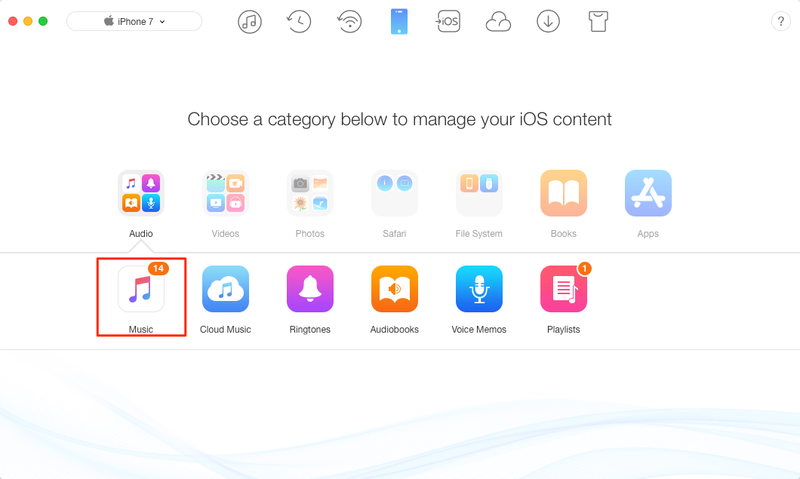 To help you out, here we will show you how to add music to Dropbox on iPhone step by step. As is known to all, iTunes cannot help us transfer any data including music from iPhone to computer. 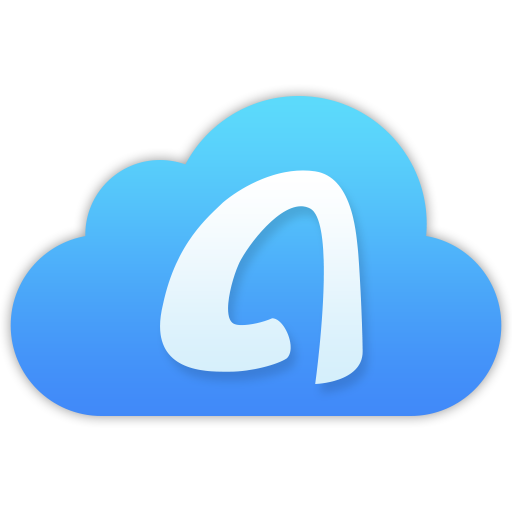 But don’t worry, one easy-to-use iOS data transfer tool named AnyTrans for iOS is here to help. 1. 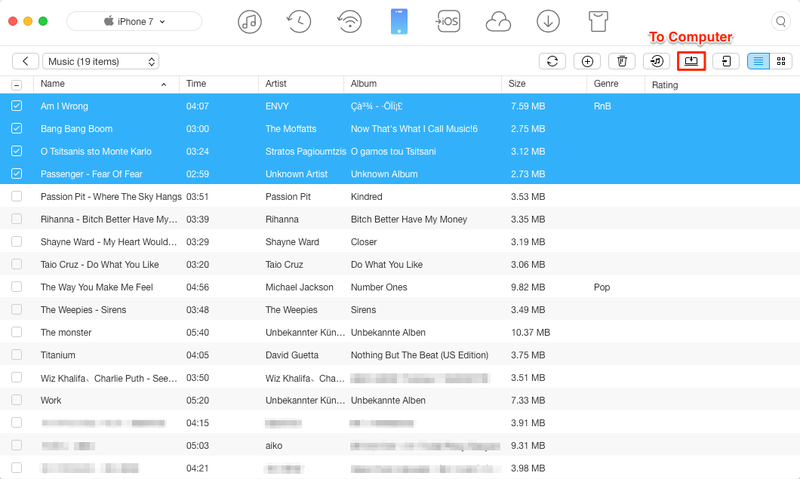 It can help you transfer songs from iPhone to computer quickly, and keep the playlist, artist, genre, and other info. 2. Guarantees you 100% security. No data erase, and data leakage will never happen. Download AnyTrans for iOS now and follow the steps below to export your iPhone music. Step 1 Launch AnyTrans for iOS > Plug in your iPhone > Go to category management page > Click Audio > Choose Music. Step 2 Choose the songs you need > Click Send to Mac/PC button. When transfer completed, you can click view files to check the songs. Now the songs are on your computer, then you can add music to Dropbox via the web or the desktop app. Here are the steps using Dropbox webpage. Step 1 Go to Dropbox.com and log in with your account. 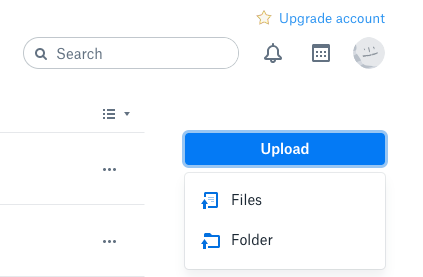 Step 2 Click the “Upload” option. Choose Files or Folder. If you choose Files, please select all the songs you need. If you choose Folder, you can select the folder that contains all the songs you want to upload. That’s all about how to add music to Dropbox on iPhone. As you can see, there is no direct way to make it, but you can first transfer your iPhone songs to computer and then upload them to Dropbox.